This really is The Princess' Man v2, and had me glued to the screen for pretty much that reason alone. Joseon Gunman features almost exactly the same story arc as its predecessor, from the innocent romantic build-up to the inevitable family tragedy, revenge, and torn love. 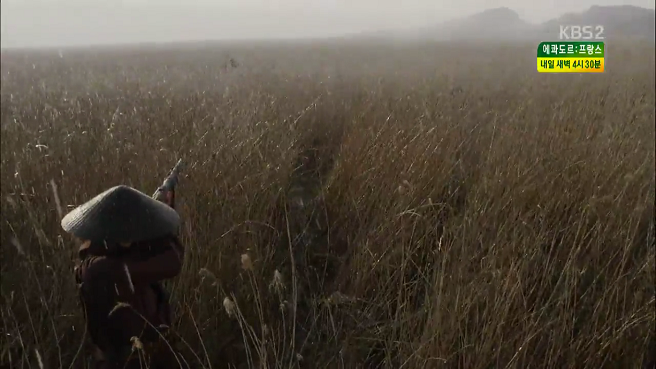 It also shares many of the same side actors, a beautiful operatic soundtrack, and similarly gorgeous cinematography. If I'd known it would be such a close sibling to TPM, I might have been more excited for its premiere rather than overlooking it until now. After marathoning the past four episodes, I'm not yet fully in love with the show, but I'm generally hooked and have faith that it will build-up into something incredible. 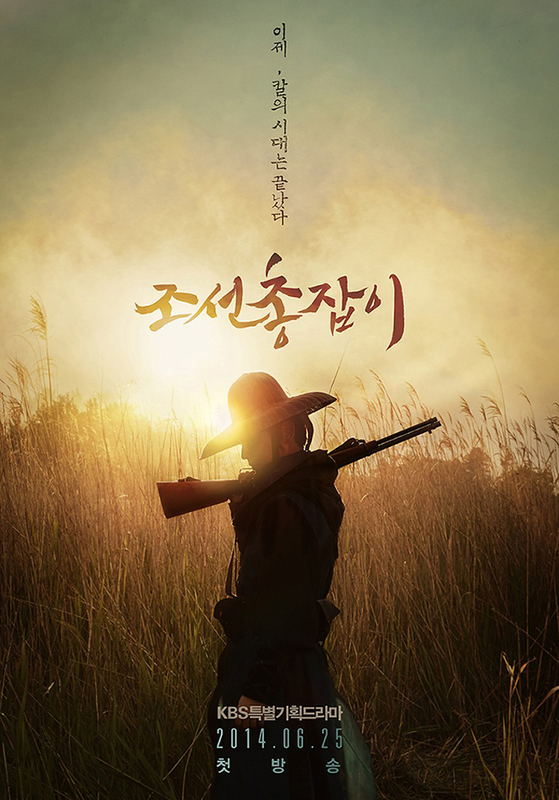 I really like the gunman premise, which marks a unique phase in Joseon history. It's such a rich plot device, and one that I'm practically salivating to see develop to its potential. 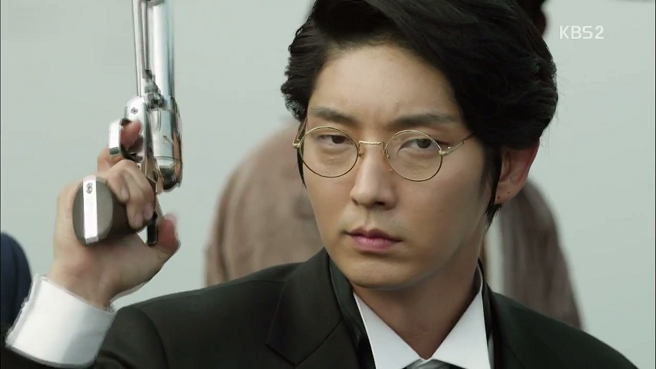 Guns, hot hair, and a rebel Lee Jun Ki? Almost too good to be true. My initial hesitation in starting the series was because I'm not normally a sageuk fan, and I also didn't feel very strongly about the cast. Yes, Lee Jun Ki is gorgeous and has never failed to deliver, but he's not a star I avidly follow. Similarly, I've never seen Nam Sang Mi in anything, but was not excited about her casting. You ever just get the sense that you won't like a particular actor or actress, even if you've only read about them or seen them in stills? Yep, that's her for me, and unfortunately my instinct was spot-on, I really wish they'd gone with someone else for the role (more on that later). However, from the first frame of the drama I was sold, again because of its immediate resemblance to TPM. I literally can't wait for Jun Ki to start rocking the fringe and transform into a revenge-seeking shooter. Patience is required with this production team though, because naturally there's an abundance of political set-up and a generally slow opening. Episodes 1-4 were action-packed and interesting to watch, but were also draggy and left me feeling like I was waiting for the real story to start. Thank goodness it was a relatively brief wait, and we're finally here. Now onto my specific qualms with the show. The biggest is the romance. I don't find it believable, despite all the grandeur around it. Part of it is because the set-up felt both rushed and cheesy. I know they were constrained in episode count, but there just wasn't enough character interaction or solid dialog for me to be convinced that these were two people who love each other with life and death stakes. Instead, their romance came across as shallow and superficial, though I am hopeful that things will get better now that the time lapse has gone through. But the bigger reason is I don't care for Nam Sang Mi in this role. For one, she looks way too old to be playing a an unmarried Joseon lady. Seriously, she and the actress who plays her mom look more like sisters than mother-daughter. In TPM, Moon Chae Won fully looked the part of the slightly immature young noble daughter, so the role made sense. By contrast, it was incongruous to watch the mature 30-year-old Nam Sang Mi flail about and shriek childishly at rats and hand-holding. I wish instead the writers had just written in her age, e.g. by having her play a cross-dressing scholar professor, or something more fitting than a supposedly young noble daughter. Her performance didn't help things though, and I was quickly annoyed at her excessive immaturity in the early episodes, which felt reminiscent of Gu Hye Sun overacting while trying to portray a highschooler in BBF. I'll agree that part of the failure with her character is writing driven (e.g., having her drop that gun about 5x in just the first episode), but a large part of it is just Nam Sang Mi choosing to play the role with shrillness and purposeful childishness. Again, I'm hoping that the time gap will soothe some of this, by giving the character more age and hopefully more maturity. I know from other reviews that she's a solid actress, I just wish the role was more suitable for her. I haven't watched Time Between Dog and Wolf, so I can't comment about our leads' previous chemistry. I'm sure plenty of fans are excited at their reunion, but I have yet to see it in this show. Even that kiss in episode 4 felt weak and passionless. Romance was the clear highlight in TPM, and I can see them trying to achieve the same heartfelt momentum here, but so far it just feels flat and fake. In fact, I'm more excited to see the development between Jun Ki and the second female lead, who's played with intriguing class and haughtiness by Jeon Hye Bin. I also just like their premise better, as the son and daughter of respective enemies. While the slick directing and general prettiness covers some of the faults, this is definitely a drama where you have to suspend disbelief at many points. 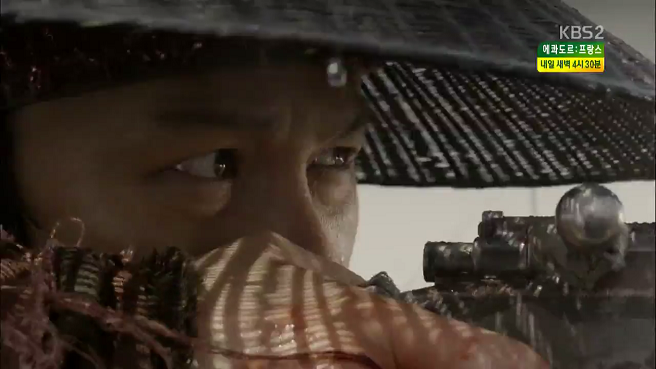 There's some stuff that results almost purely because of seemingly stupid character actions, e.g., Jun Ki standing up with lovesick abandon in that boat and consequently getting shot, or not stabbing / shooting the gunman during his multiple previous opportunities. I'm hoping we get less of that as we transition to the real action part. All told though, it's been a solid outing for this show and I fully expect it to be a nice action drama to pair with the rom-coms this summer. And now that the haircut has arrived, I'm so ready for the next episode to air. Nope, nothing against Nam as I've never even seen her in anything else. It's purely a matter of her performance here, which I find purposefully childish (especially the exaggerated expressions and cutesy tones) and out of place for her age and the time period. I'm with you on Moon Chae Won, she was far from perfect too. I think this is a personal preference issue, but I also just like Moon and thought she really nailed both the chemistry and steely character moments, especially as the show went on. So far I've yet to feel a connection with Soo In. I honestly wish I liked her more, but it's what it is, good if you like her though. Thanks for the update, sounds like I'll have to jump back into the show. And I'll be sure to watch Sweet Spy!